The Horror Vision – The Column! In a few days, the first episode of my new podcast will drop. 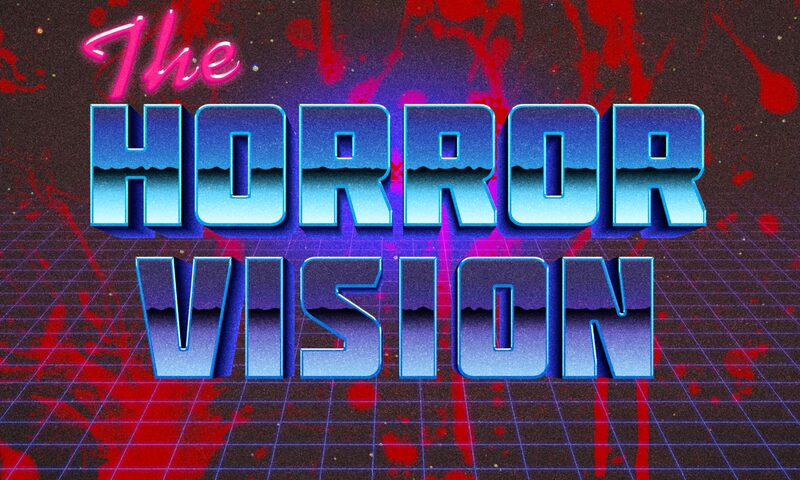 The Horror Vision is a four-man discussion on all things horror, where my friends Ray, Anthony, Chris and employ a round-table, informal setting to wax philosophical on a featured movie every month. The format of the show will come into its own eventually, but for the moment we’ll begin each episode with a catch-up, spoiler-free discussion on anything we’ve seen since the last episode that we want to tell people about, and then move into the featured film, where spoilers will not be a consideration. For the first episode, which we recorded last Sunday and which should hopefully go up on our forthcoming website and iTunes tomorrow, we chose Benson and Moorehead’s The Endless. While we wait for that to drop, I’ve been thinking. I’ve started watching a lot of movies again, and I wanted to have a place to discuss them. I also wanted to start a new column on Joup since my previous one ended, so I figured, why not combine both? So welcome to the inaugural installment of The Horror Vision: The Column. I’ve become quite the fan of Writer/Director Jeremy Saulnier over the last few years. Blue Ruin and Green Room would both have been near the top of my year-end film lists in their respective years of release, if I still did year-end movie lists (and I actually might this year, what with all the amazing stuff released). When my good friend Mr. Brown messaged me two days ago that Saulnier’s new one, Hold The Dark, was hitting Netflix on Friday night, I knew exactly what I was going to be doing this weekend. 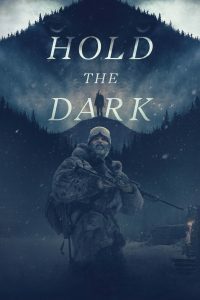 Is Hold the Dark horror? Not exactly. That’s what makes it all the more horrific and nightmare-like. This is the corner of the genre I reserve for films like No Country for Old Men, Green Room, and Blood Simple, among others. Disclaimer aside, let’s go ahead and get into it. Hold the Dark is exceptional; in my mind, this is Saulnier’s first masterpiece. Nothing against his other films, but this is just… a level beyond. The control Saulnier has over the chaos of the setting, situations, and characters in this film is amazing, and it’s also what creates such a wonderful tension that sticks in the viewer’s craw, driving you on into this evolving nightmare. Think of Fargo, Season one, the way inevitability holds itself just behind you the entire time, tapping its fingers, reminding you what’s about to emerge from out of the dark. There’s a definite tonal relation to that here, and if you’ll allow me to digress for a moment to make a point, there’s some other relevant comparisons I’d like to make, if for no other reason than it explains how I feel about this movie by juxtaposing them with two other modern examples of what I see as a resurgence of what I can only think to call American Gothic, not a genre per se but a modern sensibility in storytelling that takes cues from Noir, Gumshoe Pulp, Southern Gothic, and the Western genre and runs them through the strange moral wilderness and decay of the twenty-first century. If you remember, sometime in 2017 HBO announced that Jeremy Saulnier had been signed to direct all episodes of True Detective Season three, seemingly in an effort to return the serial to that “8-hour movie” format it had in its first season. After the fiasco of TD Sn2, where almost every episode felt like a spinning plate that never quite stopped spinning, what became apparent was that what made season one so engrossing and consistent was Cary Fukunaga directing all the episodes, just as what led to season two’s disaster piece was having no less than five different directors across eight episodes. The idea that someone as talented as Saulnier was signing on to take tonal control of the eminent third season excited me. And then Saulnier left the project, and that feeling I have had since season two that maybe the creator is a bit of a nightmare to work with resurfaced, and True Detective went back to being a show that has to earn back my time and interest. I’d like to think that in Hold the Dark, Jeremy Saulnier made something that shows the producers of TD just what they could have had. Hold the Dark shares similar thematic and tonal DNA with Saulnier’s other work – the arduous but insistent pacing that manifests as a palpable weight on the film’s shoulders, strong characters who don’t give a toss what you might think of them in the name of doing what they have to do, arrows. But Hold the Dark also shares that same DNA with True Detective season one at its best, as well as, in my mind, another modern American Gothic masterpiece, the Cohen Brothers’ No Country for Old Men. There’s something curt about the way the exposition leaks out of the character’s lives as we join them in all these works, coagulating blood from a series of savaged wounds. It makes for an intensity in viewing that not many other recent stories have matched, and while it can be a little exhausting, that is part of the magic. You go through what the characters go through. And complementing this are the most stoic performances I’ve seen in some time – Jeffrey Wright, in particular, does such an immense job focusing Russell Core’s tenacity that at times he looks as though he is about to crumble, somehow without ever giving up the strength that radiates from his molten core (pun intended). I watched Hold the Dark twice in a row last night – something I almost never do for pleasure – and can tell you I’ll jump at the chance to watch it again at any time. It’s that damn good. Great – I should certainly pronounce, impressed with your website. I had no trouble navigating through all the tabs and related info ended up being truly simple to do to access. I recently found what I hoped for before you know it in the least. Reasonably unusual. Is likely to appreciate it for those who add forums or anything, site theme . a tones way for your customer to communicate. Nice task..